Play Bursting Bubbles Deluxe for delightful puzzle bubble game entertainment and fun ! New Puzzle Bubble Game for you ! 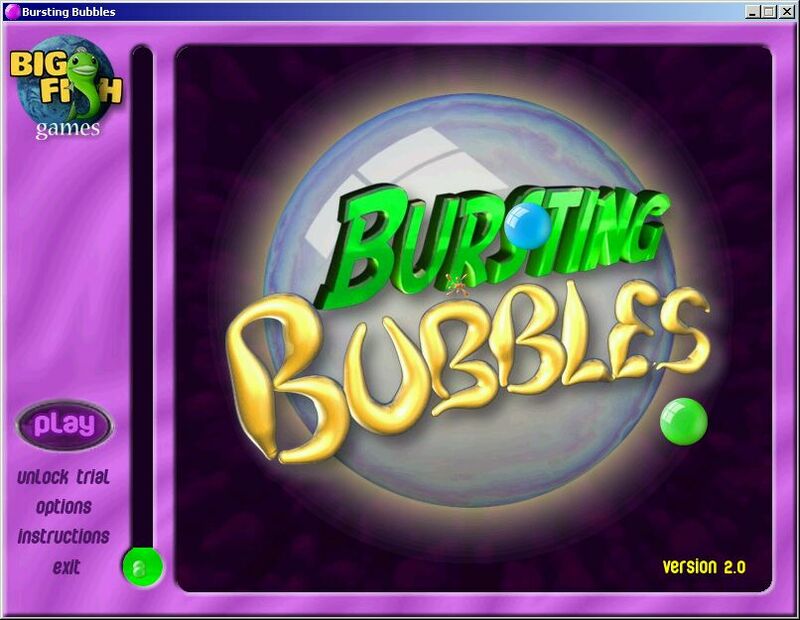 Puzzle Bubble Game - Bursting Bubbles for delightful puzzle bubble game entertainment and fun. There are two very different modes of play, Frantic and Puzzle Mode. Great entertainment for the whole family and maddeningly addictive ! There are two very different modes of play, Frantic and Puzzle Mode. 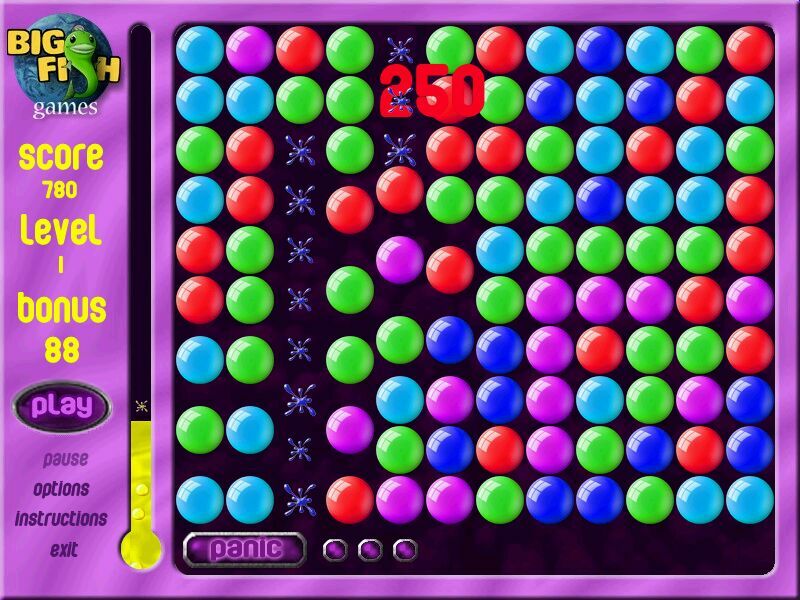 With Frantic Mode, it is a battle against the clock in a all out race to rearrange the bubbles into groups and pop them off the screen before the bubble meter boils over. Sounds silly but this mode will have on the edge of your seat! 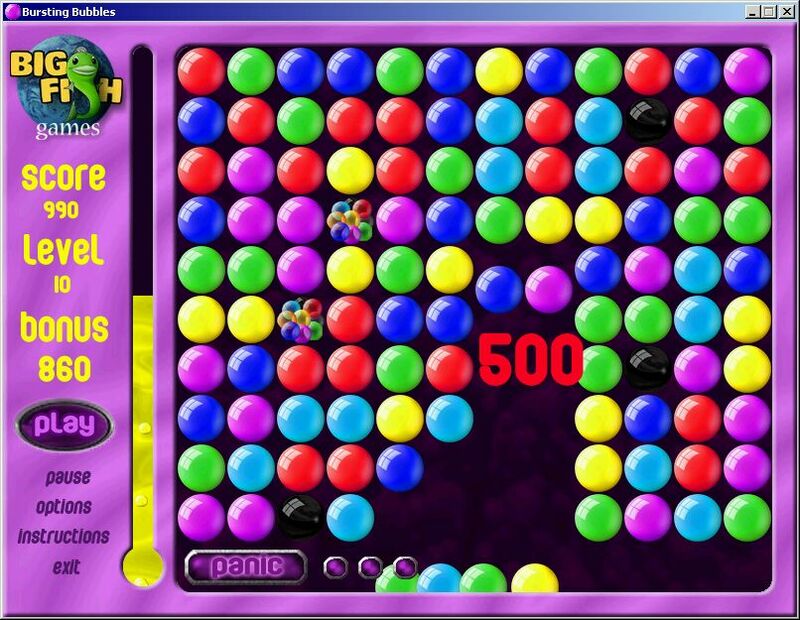 Puzzle Mode is more of a relaxing adventure in bubble popping. Here it is strategy and skill that will prevail instead of nerves and quick reactions like in Frantic Mode! Rearrange bubbles and pop them off the screen. Each pop drives the bubble meter lower, but watch out, waste your popping on small groups and suddenly your surrounded by unmovable and unpopable (is that a word?) shiny black bubbles that will leave you racking your brain in an effort to manipulate them away from your precious bubbles!